Happy almost New Year! Inspired to get some new gear to start a new hobby, profession or just to upgrade your old and tired gear. Here are my go-tos for reviews for the end of year wrap-up of 2018. Phillip Bloom is a cinematographer and Director of Photography. He knows what is up. He did a great job looking at some camera gear he used over the last year. Spoiler alert - it has cats as well. Caleb Pike is full-time You-Tuber and a bundle of energy. I don't know how he does all the reviews he does but I appreciate him a lot. He did a few wrap up videos on Monitors, Cameras, Lens and Audio gear for 2018. Check it out! Tom Antos is a cinematographer and filmmaker. I have been watching him for a few years and just love his candidness. Chris Nichols and Jordan Drake of DP Review. They were with The Camera Store last year and growing into their new channel. They cover both still and video gear and they know what they are talking about. Tony & Chelsea Northrup are still photographers and give great advice on the video gear side. Very well done production and Tony is very candid and practical. Matt Happoja is a full-time YouTuber from the great country of Canada and he is just all over the place. I see him as Peter McKinnon's side kick or shooting with Johnny Walstrom of Creative North. Matt or "Matty" as they call him is just very straightforward, honest and very practical in his delivery. He focuses mainly on video. Someone you just trust to listen to for a whole video. Matt Granger focuses on Still Photography and has a lot of gear reviews. He gives his bad and good opinions for cameras in 2018. Chris Winter is a great reviewer. Great production value and like his direct style. He uses all the gear he reviews and is really knowledgeable on cameras and lens. It almost seems he has done them all. These channels didn't do a 2018 wrap-up but I just couldn't have the heart to leave them off my list. 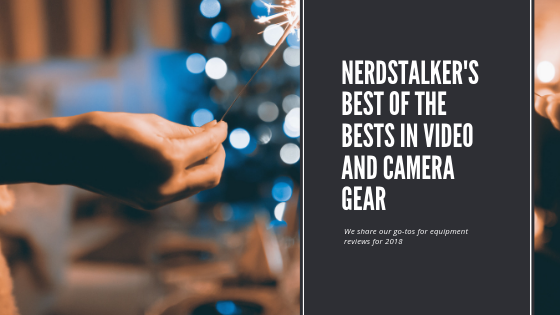 They do a lot of gear reviews great tips on filmmaking.